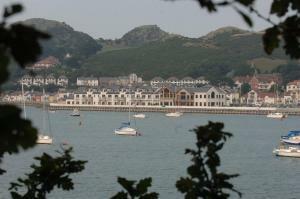 Choose from 30 hotels and guest houses in Conwy. Shown below a just a selection of the hotels available. To search within an area please use the menu on the right. 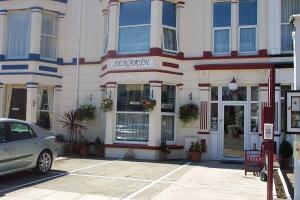 Commanding a spectacular seafront location a few minutes' walk from the town centre, this hotel is located next to Venue Cymru (North Wales Theatre and Conference Centre). Following a full but careful renovation, Cae Mor combines a beautiful blend of Victorian period features with tasteful decor and furnishings. Crystal chandeliers, a traditional Victorian fireplace and soft leather sofas create a comfortable place to relax in style. The hotel's restaurant is small but intimate, and combines period features with modern high-back leather chairs and contemporary cutlery and crockery. This contemporary hotel and day spa complex offers real luxury on the breathtaking Deganwy Marina, with views over the Conwy Estuary. The fully non-smoking hotel has been meticulously designed throughout, and its architecture epitomises cool sophistication. The large, airy spaces, understated chic and sharp styling combine to create a truly inspirational hotel experience. Wall-to-wall windows with sea views flood the interiors with natural light, and the use of specially quarried Welsh slate makes a thoroughly individual design statement. The rooms incorporate plush beds dressed in crisp Egyptian cotton, luxurious bathrooms and unrivalled in-room facilities. 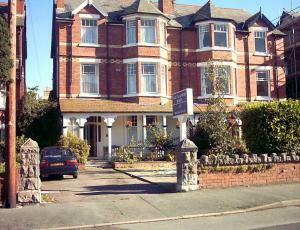 Centrally situated near Old Colwyn village, with sea views, this homely hotel represents great value for money in an ideal location. 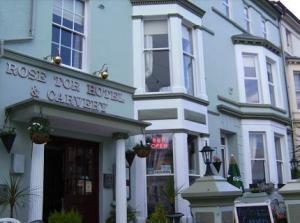 The Lyndale Hotel is centrally situated as a base for both tourism and commerce in north-west Wales. 30 miles from the historic city of Chester on the beautiful north Wales coast, Lyndale Hotel is in easy reach of all major tourist attractions including Snowdonia National Park, Anglesey and Llandudno. After your day out exploring, relax in your comfortable bedroom, mostly with stunning sea views. Then you can enjoy a delicious meal and discover the delights of oriental cuisine at the hotel's Thai Tamarind restaurant. 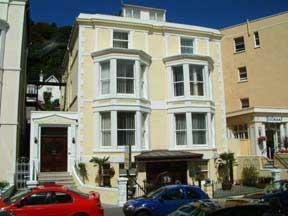 This superb family-run hotel offers excellent value for money and has a prime position in Llandudno overlooking the sea, with views of Snowdonia from the rear. A perfect place to relax, the Kinmel is open all year round and offers special winter and summer breaks. Staff pride themselves on the home-from-home atmosphere, together with personal touches. For your comfort, all public areas and bedrooms are strictly non-smoking. 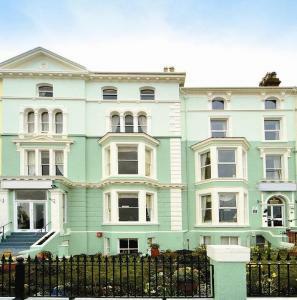 Now under new management, this charming non-smoking hotel has a great location, just a few minutes' walk from the town centre, Llandudno's North Shore and many of the area's attractions. Llandudno's beautiful seafront promenade and the historic Victorian town centre are just a short walk away, and the hotel's excellent location makes it a great base from which to explore this beautiful part of Wales. After a hectic day enjoying all that the region has to offer, you'll probably want to relax and unwind, and there is a comfortable lounge with a TV and DVD player for guests' use. Most of the hotel's rooms are en suite and every room has a TV and tea/coffee making facilities. Well known for its warm and friendly atmosphere and excellent full English breakfasts, the Jenivore Hotel is a comfortable home-from-home where every guest is a friend. 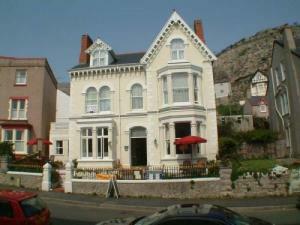 The Royal Hotel is just minutes' walk from the beach, promenade, pier and Llandudno town centre. 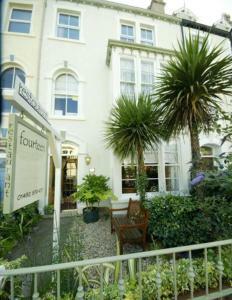 The friendly, family-run hotel provides elegant, comfortable accommodation and Victorian charm. The Royal Hotel has free Wi-Fi internet, and good food in the restaurant. 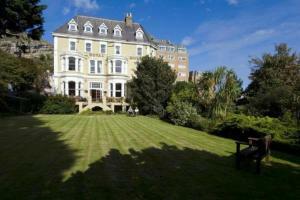 It is set in secluded gardens with a sun terrace and ample free guest parking. 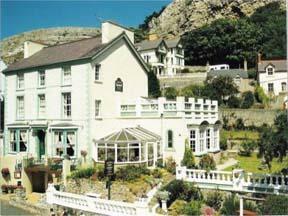 Many rooms have views of the gardens or of Llandudno, with its backdrop of the Snowdonia mountains. The lounge bar has a dance floor and stage, and often hosts live entertainment and themed party nights. A warm welcome awaits you at this quiet family-run hotel, situated within easy walking distance of the lovely promenade at Colwyn Bay. 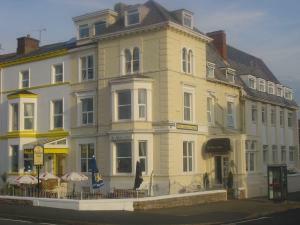 The hotel is situated close to the shops, railway station and coach stop. 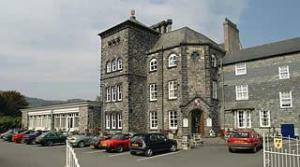 Llety Lachad is also within easy reach of Snowdonia National Park and most of the many attractions in North Wales. Single, double/twin and family rooms are available, each with its own television and hospitality tray. Evening meals can be provided if required, and the hotel is strictly non-smoking.